Meizu introduced its flagship simply called 16, and later the company CEO announced the successor will be named 16s. The phone has now moved another step closer to launch after it was certified by 3C with a model number M971Q. The listing does not reveal much, but it shows the UP0830S charger that will come with the phone. That's the original fast charger of Meizu, meaning the flagship will have mCharge capabilities. Hopefully, it will bring Super mCharge that was demoed at MWC 2017 that is yet to make its debut in an actual phone. 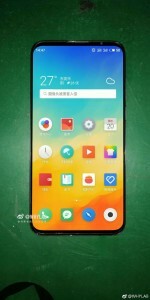 The Meizu 16s got its specs leaked last month, revealing a Full HD+ AMOLED panel, covered with a Gorilla Glass 6. It will run on Snapdragon 855 and will have a 48 MP main shooter with Sony IMX586 sensor. The battery will have 3,600 mAh capacity and the phone should be among the slimmest on the market. 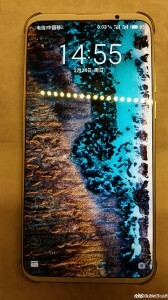 The phone is said to cost around CNY3,300, which is under $500/€450. the design are clean and simple. i think the only reason this phone wonÂ’t sell well is because meizu is not big brand and not as popular as other brand in smartphone market. Trend followers like you are drones. You are a bunch of NPC people. Get a life, get variety and be against the norms. Meizu 16S's bezels are as thin as the Slider phones and pop up camera phones out there.